In our fourth Akorbi linguistic history series blog entry, we will discuss one of the most unique languages in the world — Basque. 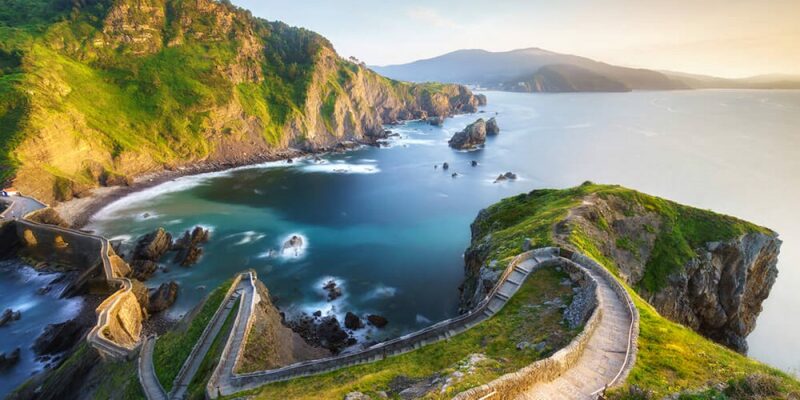 With around 750,000 Basque speakers, it is neither a widely-spoken language, nor is it in danger of extinction. However, the history and development of Basque is a controversial topic that is still debated by linguistic scholars. Today, the Akorbi team will discuss Basque and what it is that makes it perhaps the most unique language in Western Civilization. Among linguists, Basque, or Euskara, is known for possessing some unique linguistic features and a mysterious origin. Basque is what is considered a “language isolate.” It is surrounded by French and Spanish speakers but does not share an origin with them. In fact, linguists believe that Basque is the oldest language in Europe. It is considered a “pre-Indo-European” language, meaning it developed in prehistoric times. Basque could actually be the closest example we can experience to what Neanderthals may have sounded like. Unlike the prehistoric neighbors of the Basque, such as Celtiberian and Aquitanian, the Basque language and culture was able to resist much of Rome’s cultural influence and reliance on Latin as the common language. So, how did the language survive? The truth is, historians are unsure. It may have to do with the mountainous terrain of the Basque-speaking regions or simply disinterest in Roman culture by the Basque people. After the collapse of the Roman Empire, the Kingdom of Navarre emerged as the political power of the area. In the Kingdom of Navarre, the elites largely spoke Latin, Spanish, or French. It was actually the peasants of the area who we can thank for keeping Basque alive and thriving among the people of the region. After the Kingdom of Navarre gave way to Spanish rule over the entirety of the Iberian Peninsula, the Basque people had lost all autonomy and right to self-rule. Centuries of suppression and prejudice by the ruling Spanish elite caused the population of Basque-speakers to shrink substantially. However, as the twentieth century began, a sense of Basque nationalism began to emerge, with a focus on preserving their language. But with the rise of General Francisco Franco in Spain, many Basque nationalists were round up and imprisoned. Franco used government repressions and assimilation policies to thwart the rise of Basque speakers. It was only after the death of Franco in 1975 that the Basque people were able to continue the process of reviving what may be the oldest existing language in Europe. If you are interested in obtaining professional language service assistance, whether it’s translation, interpretation or localization, contact Akorbi today. You can call Akorbi directly at 1-877-425-6724.